According to the Polsinelli-TrBK Distress Indices Report, 20 hospitals have filed for bankruptcy since 2016. Looking ahead through 2019, medical cost trends remain stable, but extremely high as healthcare costs continue to rise. HRI projects 2019’s medical cost trend to be 6 percent. This is consistent with the last five years, which have seen trends between 5.5 percent and 7 percent. By integrating preventative healthcare services, payers, patients and providers can all look forward to better results. Care collaboration among providers has been a unifying theme for these initiatives. While CMS led the shift to preventive care, private insurance payers also have offered similar initiatives. CMS rolled out these initiatives as separate Current Procedural Terminology (CPT) codes. They are designed to be integrated in order to contain care costs, improve patient care outcomes and encourage care providers to focus on preventive care through revenue incentives. To illustrate these financial differentiations, suppose one of these initiatives is operating by itself without connectivity. A healthcare clinic reaches out to a patient who is AWV eligible. The AWV is performed and the clinic files for AWV reimbursement. If the clinic does not follow-up, based on the risk assessed during the AWV session, the impacts would be that the clinic fails to generate additional preventive care revenue due to a lack of follow-up. CMS fails to contain the overall cost as there is no follow-up for preventive care, leaving the acute cost to remain a major risk for the patient and the patient fails to improve his or her care quality. Furthering the scenario, assume that the patient is confirmed with at least two chronic conditions; therefore, he or she is eligible for CCM service. But without an integrated healthcare delivery, there is now another level of disconnection for all stakeholders. These same problems will be found in RPM, TCM and BHI, proving that an integrated healthcare service is required for preventive care. And that service must also be supported by an integrated health IT solution offering seamless, economical workflows across all these initiatives. To roll out a successful integrated healthcare service, an implementation strategy is required with consistent follow-up activities, risk adjustment factors, performance and quality controls and scaling care provider bandwidth. Consistent follow-up activities require following-up from the initial initiative which is the 'connection' to the next initiative. Without the connection, stakeholders will fail to deliver on the objectives outlined for preventive care. Risk adjustment factors bridge the communication between healthcare payers and providers. Miscommunication between these two major stakeholders increases administrative costs and have a negative impact on patient care outcomes. By establishing and making the risk adjustment factors more transparent, a collaborative agreement between the payee and provider, the focus is on patient preventive care. For performance and quality control, the implementation strategy must include a built-in performance and quality control measurement. Monitoring and adjustment for continuous improvement on outcome is critical for the overall success of the integrated healthcare service. Scaling care provider bandwidth during the transition of the shift from acute to preventive care requires providers to still carry the current acute care workload, but there are now fundamental changes in care providers' workflows. As part of the workflow change, providers will find pro-active out-reach versus reactive engagement. Most preventive care initiatives are based on care providers' out-reach to patients, instead of a reactive mode in which the patient shows up at care providers' office due to sickness or treatment requirements. In the pro-active out-reach, the patient is not 'sick yet', but there is a significant increase of patients to care providers. If care providers stay with the same workflow, there is not enough time for care providers, and this requires staff delegation. CMS puts time requirements on patient condition monitoring. However, the requirements do not impose entirely on physicians, but also impact the care providers' staff. A successful preventive care model must have all healthcare stakeholders winning. For the patient, effective preventive care improves patients’ outcomes, therefore reducing the potential of requiring acute care. For insurance payers, IBM Watson Research has proven that patient supported by an effective preventive care service will have its overall healthcare cost reduced. 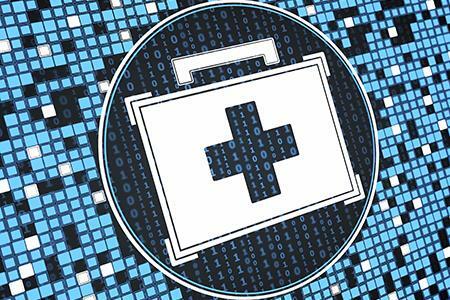 For Care providers, an effective health IT solution will address scalability challenges. Care providers will have significant revenue increases from preventive care initiatives. Unless we can achieve a balanced outcome, the model will not be successful. For the model to be successful, we must have an integrated health IT solution supporting care delivery. There must also be an implementation strategy addressing challenges such as care providers' bandwidth. We must remove communication between payers and care providers with proven quality for patient care outcomes as well as overall cost reduction.